For the Mort Myre coordinate clue at 05.37 N 31.15 E, the coordinate guide says: "Mort Myre Swamp, on the Nature Grotto island, just North of the tree. You must have started the Nature Spirit Quest to get into Mort Myre Swamp. If you bring food, bring druid pouch(es). Saradomin wizard will attack. Note: You cannot use familiars on the island, as it is a Summoning free zone." Whether it's a glitch or just an update, I'm not sure, but it looks like you can bring familiars with you now. Noticed it was missing from Item DB. Examine: Prevents crops from disease, whilst active, and grants a chance to harvest more crops. Upgraded from Supreme greenfingers aura for 119,000 Loyalty Points. Provides a 15% chance of increased crop yields. Active for 20 minutes with 1 Hour cooldown. Going through my screenshots folder to clear out stuff, and came across a submission I never posted! Due to the Taverly/Burthrope tutorial update a while ago, the spawn location of one of the Evil Trees was changed. It is the tree that spawns west of Falador. 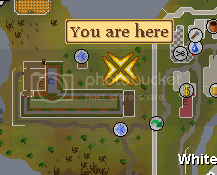 It is listed twice in the Evil Tree guide as "Falador - West across wall near the mine," but the image for the location is outdated. Of course I don't have a screenshot showing the "X-marks-the-spot" image in my inventory, but I'd like to think I'm trustworthy. For the past few days I have been checking prices and amounts of potions I would have to make, but I haven't been able to come to a decision by myself. I was hoping someone may be able to offer some advice as to what potions or amounts of potions I should make. I'm certainly not expecting anyone to do the math for me, or check the most "cost effective" method. Like I said, I've been doing the math, I know which ways are cheaper versus more expensive, I just don't know which would be the wiser choice. Cost isn't really an issue, I have way more GP than I will ever spend unless I go insane, but of course the cheaper method, the better. I don't ever boss hunt (I think I did one Bandos kill with a friend) so I may have gone a bit crazy with the Overloads, but I am starting to do Slayer more and more. I'm not ruling out boss-hunting as a possibility in the future. I know I should make more Extreme potions (I just made some more Overloads yesterday, which is why I have so few Extremes currently.) I always Melee tasks. 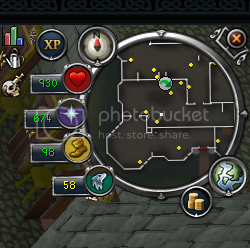 I think the only task I don't Melee is Jungle strykewyrms (Range). Of course, as I'm only 81 Slayer, there may be Slayer monsters I unlock in the future that I decide to Range or Mage. If you were in my situation, what would you do? Any advice will help. I just need the extra shove in the right direction!